Imagine being picked up in the small fishing village of Port Clyde, Maine, riding just 3 miles out to sea, arriving on a magnificent 110-acre private island and finding yourself transported back to a simpler time when life had fewer distractions and a slower pace. As you step into the beautiful historic buildings, you find them filled with items and furnishings dating from the 1920s. Yes, there are modern amenities such as a beautiful new kitchen, comfortable accommodations, cell phone service, and Wi-Fi Internet connection. But once you arrive, you find the beauty of the Maine coastline and the plethora of possible activities, offers you and your guests the opportunity to truly relax and leave behind mainland worries. Feeling active? Grab a kayak or canoe and go for a paddle around the rocky coves and beaches of McGee and neighboring Barter Island. Take a hike or comb the beaches in search of small treasures that the ocean deposits on the shores! If you like to swim, plunge into the refreshing salt water and then warm up in the waterside sauna or outdoor shower. If group activities and shared experiences form the basis for life-long bonds, then McGee Island is an ideal location for family reunions and small gatherings from 4 to 24 people. Accommodations: Your rental includes McGee and Barter Islands. McGee Island is the larger of the two islands and has 3 residential structures: the Main House, the Cook House, and the Little Boat House. Barter is the smaller of the two islands, is undeveloped, and is accessible either by boat or by a natural land bridge that appears at low tide. If you’d like to spend a day on-shore, Port Clyde is a short 15-minute boat ride away. From there, you can catch the Laura B for a day trip to Monhegan Island, best known for its artists’ colony. The mainland also offers shopping in Freeport, the Lobster Festival in Rockland, and golf in Camden. On-shore excursions, however, are best limited to groups of no more than 8 to 10; the maximum number of passengers the island boat can carry, and must be completed within daylight hours. Rates: The rates quoted are for groups of 12 or fewer. There is a charge equal to 1/24th of the base rate rounded to the nearest $10 for each additional person. There also is a surcharge of 20% for reservations made before February 1st for a rental date in a subsequent year (waived for groups larger than 20 people) and an additional $100 cleaning fee for guests who bring dogs. McGee and Barter Islands have played a magical role in our lives. They have provided our clan with a place to congregate–where siblings, cousins, young and old can renew their bonds and create shared memories–while enjoying the spectacular beauty of the Maine coastline. We hope that you, your family, and your friends experience the same magic that brings us back, year after year. As our family expanded in number and spread out across the country and Europe, McGee Island has been a nexus that has brought together cousins, aunts and uncles, nieces and nephews, in-laws, and even brothers and sisters. Time spent together preparing meals, gathering mussels, going for swims, walking or rowing around the islands, playing volleyball, croquet, and badminton during the day and card and board games at night has enabled us to form bonds and remain close. There is no central heating in the Main House or Cook House. All beds in all buildings, however, have electric mattress pad heaters that will keep you plenty warm at night. The island is equipped with a high-efficiency clothes washer. We recommend people park their car in Port Clyde at the Monhegan Boat Lines parking lots. The cost is between $4 and $5 per day and they offer shuttle bus service to and from the lot. The Cook House kitchen is equipped with a Franklin stove that can keep the kitchen area quite warm. Commercial dishwasher. Guests need to rinse the dishes. The commercial dishwasher will wash & sanitize the dishes in about 2 minutes. Thedishes then need to be dried. There are 2 reasonably large gas ovens. This is a regular 2-slice toaster; not a toaster-oven. The Cook House kitchen was remodeled in 2011 and equipped with a commercial range and dishwasher. There is no dispos-all. There also is a high-BTU outdoor burner for cooking lobsters. The Cook House has a breakfast area that can seat 9. It also has a dining room that can seat 22 to 24 if people squeeze. There also are three 8 foot picnic tables for outdoor dining. The Main House has an extensive library of books most from the 1910's and 1920's. There also are assorted magazines going back decades. McGee is well stocked with games of all types including board games, croquet, bolles, badminton, and volleyball. There is a small rowing boat which can seat up to six people including the two rowers. The Main House has an extensive porch / veranda which extends around the building. There is a porch along the entire front of the Main House with 180º views of the Atlantic Ocean and surrounding islands. McGee has a sauna heated by a wood-burning stove. We asked that children under the age of 18 not use the sauna unless an adult is present. Lobsters - and sometimes shellfish - are available at the Mosquito Island Lobster Company in Port Clyde. We also have beds of mussels accessible at low tide. Please, however, check with the caretaker first before harvesting mussels to make sure there is no Red Tide alert in effect. I don’t even know how to encapsulate all the amazing details about our stay at McGee Island. We booked the island for a corporate team outting - about 20 people from the office (all adults). The island is incredibly beautiful, and feels extremely removed from the world - lots of wildlife to observe and enjoy. The house is a dream come true - it has great new fixtures in the bathrooms and the kitchen, but everything else seems to have been lovingly maintained over the course of 100+ years so it has plenty of rustic charm. It also has one of the biggest and best fireplaces I’ve ever seen. Also an amazing library of books spread through the house. We hiked, swam, kayaked, picked mussels, star gazed, relaxed in the sauna or the hammock, enjoyed the views. Even getting to the island was fun! Everyone we interacted with was great - the owners were extremely friendly and helpful while making the reservation and preparing for our stay, and the caretaker Joe was great. Aside from a few things (firewood, trips into Port Clyde, and a sink drain stopper whose lever came loose) we didn’t need Joe’s assistance for much, but he had lots of historical info about the island to share, was a reassuring presence for a bunch of folks from the city, and was just all around a cool guy. He also has a huskie/lab mix named Baloo who’s one of the chillest dogs I’ve ever met. Can’t recommend McGee Island highly enough. If you have the chance to stay there, take it. You won’t forget it! McGee Island ... couldn't have dreamt it so good! Let's put it this way I was already emailing about coming back the following year - while I was there! Our stay on McGee was one of the best vacation weeks we have spent anywhere. 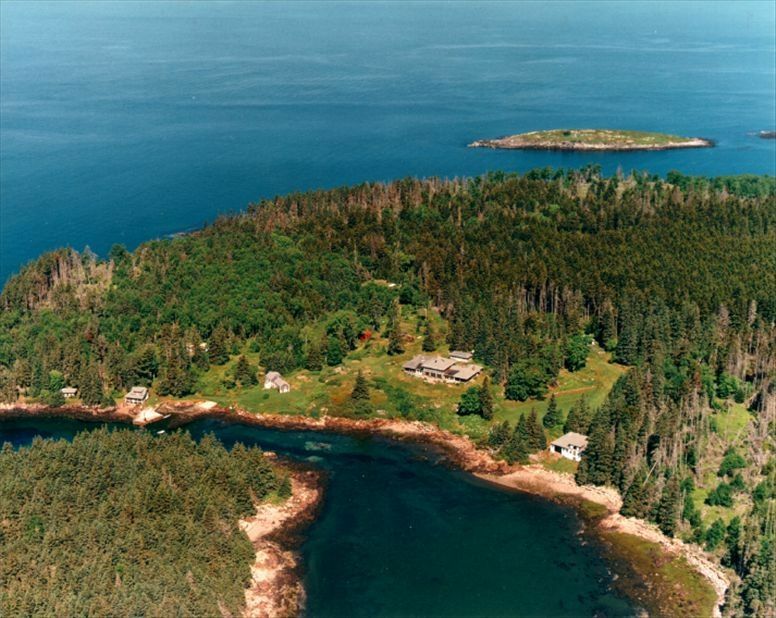 Your family truly has one of the most special homes on the coast of Maine. It is like a time warp of what we knew and loved as children. This property is definitely not for everyone, particularly those who expect amenities consistent with a five star resort. Television, air conditioning, spa services and fine dining are not to be found on McGee Island. Instead, watch the eagles and great blue herons vie for the same tasty morsel swimming in the ocean. Bask in the sea breeze and enjoy the salty spray on your face. Pick mussels at low tide and cook them with lobsters caught that day. Tide pools, kayaks, ping pong, trail hikes, reading on the front porch in a hickory rocker in the sun - all my idea of a five star vacation. Joe, the caretaker, will help you shoot clay pigeons, take you to Port Clyde for an outing to Monhegan Island (fantastic! ), pick up lobsters for dinner or leave you alone to discover the island on your own terms. The facilities are authentic and period and amazing and harken back to a time when families were together days and weeks and months, enjoying Maine life. We spent evenings at the cookhouse around the wood stove, preparing feasts and drinking wine. After dinner we retired to the main house, lit a roaring fire, sipped rum and enjoyed being together until we could no longer stay awake. Thank you for sharing your special home with our two grateful families. We look forward to returning next year for another magical week on McGee Island. McGee Island is a very special place and was a wonderful setting for our family to celebrate our parents' 50th anniversary. The owners are absolutely fantastic to work with when planning your get away and provide information on every detail for your trip. Unlike some rentals, everything was as described and pictured and there was absolutely nothing that we were dissappointed by upon arrival. The houses and property are stunning. The views that change through the day with the tides and lighting are amazing. We loved the Cook's house with a great kitchen for cooking for a crowd and dining room that accommodated our group of 16. Our group pushed the outdoor cooking with propane burners for lobster to an extreme, having lobster four ways during our stay! The caretaker was great at helping us with our orders for lobster throughout the week. From one year old to 78, all had fun and found plenty to do. The "pool" made for a great place for our younger group to explore and paddle around at low tide when it is almost completely enclosed. And the older crowd enjoyed paddling and hiking around the island. All enjoyed gatherings on the porch, in the big living room at night, and in the Cook's house. We can not recommend this property and the owners as renters enough. You will not be disappointed if you choose McGee for your special vacation. We were a group of 19. This was a reunion of my sister's and my families: 12 adults and 7 little ones (ranging in age from almost 1 to 12) - and the first time the little ones (the 2nd cousins) had ever met one another ... also, the first time in 9 years that my sister's twin boys and my two girls had the opportunity to see one another since a wedding 9 years ago! A special occasion for all of us to say the least - what a perfect venue and situation in which to do so! - "Exceeded far beyond my expectations! Absolutely the PERFECT family vacation/reunion!!!!!" - "McGee more than exceeded our expectations and that even though the photos on the website were beautiful, they don't do the place justice as the views truly are magical. I might add that for those that worry about getting bored on an island, we never lacked for activities and seemed to run out of time (there were so many things that I would have liked to have spent more time doing)." - "We appreciate how well equipped the Cook House was including candlesticks which we used for our anniversary dinner ... we really weren't lacking for anything!" Payments can be made by check or by bank transfer via PayPal.